Lighten up with VELUX Sun Tunnels The effects of the sun are well documented and both homes and businesses today are designed to let in as much natural light as possible. Apart from essential vitamins, natural sunlight is known to life the spirits and increase concentration. At work, allowing light to flood in can be said to increase productivity as well as guarding against eyestrain so investing in roof windows and skylights to shed light on employees is commonsense, pure and simple. With so many positive benefits, it’s no wonder that property owners are constantly exploring ways to bring the light into their properties. The trouble is that many older homes and businesses can be dark, dingy places with areas that have no natural light at all. With VELUX sun tunnels, your home can be bathed in light from top to bottom. VELUX sun tunnels are specifically designed to address the problem of allowing sunshine into the home. 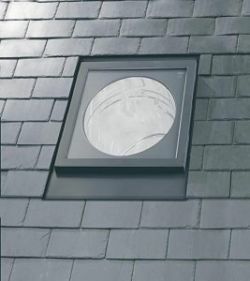 They provide the perfect alternative to traditional roof windows and are the ideal option for homes with flat roofs or areas where natural sunlight cannot enter your property. VELUX sun tunnels are perfect for areas such as bathrooms and hallways, which could only be illuminated when you flicked a switch and turned on the electricity. The VELUX sun tunnel is a simple concept that creates a window in even the gloomiest parts of your property. The sun tunnel fits neatly into your roof, creating a tunnel from your roof through to your ceiling indoors, allowing the sun to shine in. It can be installed in all property types and is designed to fit in with different property styles too. Perfect for no-slope roofs and roofs up to a 60 degree pitch, the VELUX sun tunnel is both versatile and elegant. It takes up very little space in your loft and is made from durable glass and a diffuser unit that creates an attractive, soft light. With the VELUX sun tunnel, as with all VELUX products, you’ll benefit from durable, stylish windows that have the stamp of authority that comes with manufacturing windows for over 70 years. VELUX is one of the most popular window manufacturers in the UK, known for innovative designs and practical solutions to open up your property and allow natural light to shine in. When the company started out, Dutch designer Villum Kann Rasmussen had only one aim in mind – to allow everyday people to benefit from the rejuvenative effects of sunlight and to this day, VELUX windows are made with this very philosophy in mind. So bring sunlight in to your home or business to promote happiness and well-being, creating a stress-free environment. It’s probably cheaper than a weekend at a health spa and the effects are more permanent too! For more information about VELUX windows, contact 5-star VELUX installer G&A. G&A is a VELUX specialist with many years of experience in supplying and fitting VELUX roof windows, skylights, balconies and sun tunnels. We offer competitive prices and a professional window fitting service. Call G&A and discuss your requirements today on 0800 626430. I’d like to make an initial enquiry for two sun tunnels to be fitted into my windowless bathroom. I’m currently purchasing a property and trying to work out an estimate for works. Would it be possible to get an estimated quote for 2 X sun tunnels. The property is located in Walthamstow london. It’s a two tier Terrace house with a sloping roof. Please let me know if you require any further information. A rough estimate is ok for now and once I get the keys in two weeks time I can arrange for someone to come and get a more accurate price.